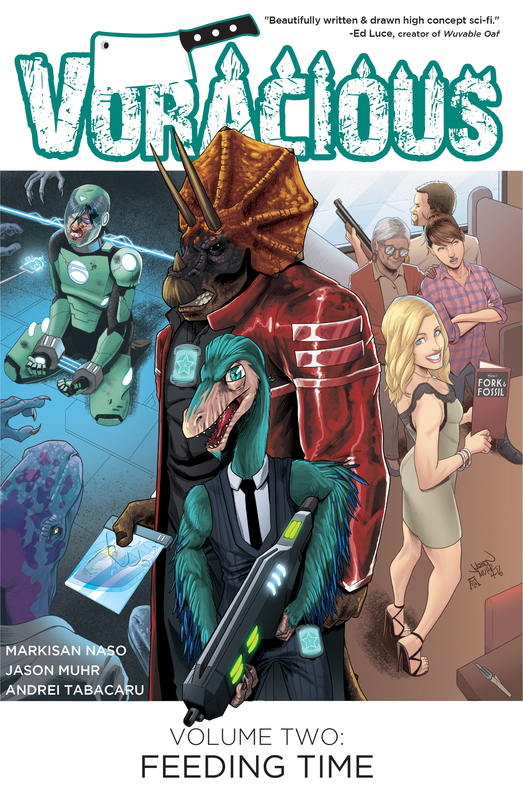 Markisan Naso is the writer of the critically-acclaimed comic book series, VORACIOUS and VORACIOUS: Feeding Time, published by Action Lab Entertainment. He is also an editor and publishing expert who has managed and revitalized national publications such as Knowledge Quest and School Library Research for the American Library Association. Markisan has edited over a dozen books, including The Anatomy of Zur-en-Arrh: Understanding Grant Morrison’s Batman and Voyage in Noise: Warren Ellis and the Demise of Western Civilization for the Sequart Organization. An accomplished journalist, Markisan has authored more than 150 features in print and on the web, covering subjects as diverse as EF5 tornadoes, death metal and Superman. Markisan is also an avid podcaster. He’s the creator and host of The Pop Culture Kickdown and COLLOQUIUM, and he’s a host on the METALHEADS Podcast. His upcoming work includes VORACIOUS: Appetite for Destruction and a short story for the science fiction anthology, APEX, from Outland Entertainment. Markisan resides in Chicago with his wife Tracy and his cat Zoso. He loves short rib tacos, kitties and heavy metal.